Is your clan interested in Crest clothing? yes we can help you.please enquire. Our jewellery collection grows and grows and if you know someone getting engaged or married soon please feel free to flick on this newsletter, because we have a real super collection now. Have a little peek at this. 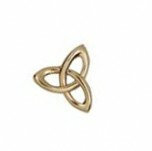 But then again we have a super collection of Celtic jewellery and its .